Jack and Nancy Leavell submitted this photo and caption. We are starting our 30th year of supporting drum corps. 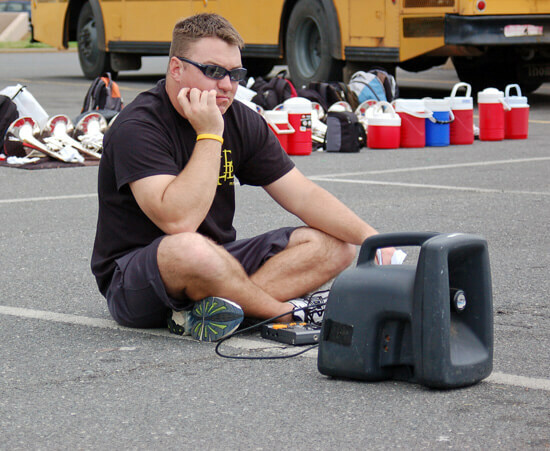 In this photograph Neil Adkison who is part of the Carolina Crown visual staff monitors the beats as the Crown members learn the drill for the opening segment of their 2010 show "A Second Chance." This photograph was taken at the April camp at Fort Mill High School in Fort Mill, South Carolina.